Nathan D. Lee is an Emmy award-winning filmmaker who has worked on television, studio, and independent movies. 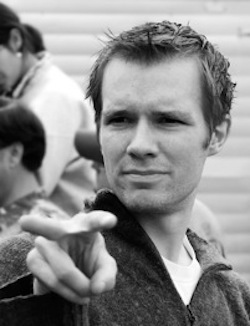 He earned his bachelor’s degree from Brigham Young University where he co-wrote and directed the acclaimed short film Inspector 42 (2009), which garnered him a student Emmy from the Academy of Television Arts and Sciences Foundation and a regional award from the Academy of Motion Pictures Arts and Sciences. He also wrote and directed the short An Album (2007). In 2012, his work as writer and director of the documentary Larry Gelwix: No Regrets (2011) won him an Emmy for Cultural Documentary. He produced the 2013 World War II film Resistance Movement and has directed two television pilots. He also has written, optioned, and sold several feature-length screenplays. Lee is a member of The Church of Jesus Christ of Latter-day Saints. He and his wife, Tara, are the parents of three children. This page was last edited on 5 January 2017, at 20:56.